Women who have used fertility therapy to add to their families need not worry about the effects of those treatments on their long-term cardiovascular health. New research shows that fertility treatment is not associated with any excess cardiovascular risk later in life. In fact, mothers who conceived using fertility treatment had significantly lower cardiovascular risks than other mothers. The research from WCH and the Institute for Clinical Evaluative Sciences (ICES) was published in the Journal of the American College of Cardiology. As the researchers point out in the introduction to their study, the focus of fertility treatment is to get pregnant. Treatment decisions prioritize that short-term goal, not necessarily long-term health. However, there are some potential risks associated with fertility treatment. “There are a lot of data to suggest that short-term fertility therapy has associated risks with blood clots, with high blood pressure in pregnancy, and with diabetes in pregnancy, all of which could lead to long-term cardiovascular disease,” says Dr. Udell. In the context of women delaying pregnancy until they are older and more at risk of developing heart disease, it becomes even more important to examine the potential long-term health risks of fertility treatment. Dr. Udell and his colleagues looked at 1,186,753 women who gave birth in Ontario hospitals from 1993 to 2010. Of those women, 6,979 had received fertility treatment (such as intrauterine insemination, in-vitro fertilization (IVF), and other types of stimulated ovulation) in the two years before they delivered a baby. Over a median followup time of almost 10 years, the researchers tracked cardiovascular health by searching for deaths or hospitalizations from cardiovascular causes such as heart attack, heart failure or stroke. The results did not reveal any excess cardiovascular risk among the women who underwent fertility therapy. In fact, those who had fertility treatments actually had 45 per cent lower cardiovascular risks than those who did not. “Really surprisingly, there was a lower risk for death and for cardiovascular disease in those women who used fertility therapy, in fact it was almost half the risk. We found that very reassuring. We delved a little deeper and realized that these women were likely leading very healthy lifestyles after fertility therapy,” Dr. Udell says. Those who underwent fertility therapy also had fewer episodes of depression and self-harm in the long term. There was no increased risk of breast or ovarian cancer in women who had fertility treatments. The study did not include women who used fertility therapy but did not give birth. Although there were no long-term cardiovascular risks, it is important to note that women who underwent fertility therapy did have an increased incidence of pregnancy complications: a nearly 30 per cent increase in diabetes in pregnancy, a 16 per cent increase in placental disorders and a 10 per cent increase in pre-eclampsia. This is especially relevant given the marked increase in fertility treatments over the 17-year study period: from 1 in 400 births to about 1 in 80 births. Almost one per cent of deliveries in North America are now the results of fertility treatments. The average age of women who received fertility treatment was 34, compared to 29 for those who did not. Older age is a cardiovascular risk factor, and women who had fertility therapy also had higher rates of other risk factors. Dr. Udell says the research team hopes that the study draws attention to risk factors that may get overlooked after pregnancy. “The obstetrician isn’t going to follow these women long-term after their pregnancy, and these women may not show up on the radar of a cardiologist until decades later. 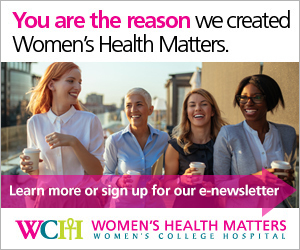 At Women’s College Hospital we advocate for a preventive cardiology approach, especially in women,” Dr. Udell says.